Depression is a common disorder in the United States, with reports showing that 1 out of 10 people will suffer from this debilitating condition in their lifetime. With modern stressors, genetics, and mystery factors not yet understood combining to increase the frequency of this disease, it is likely you will personally know someone struggling with depression at some point in your lifetime. If you’re worried your friend might be suffering from depression and want to help as much as possible through this difficult period, consider these tips. Everyone has periods of sadness, but clinical depression is another type of beast. A severely depressed individual may find it a struggle to complete even the most simple of daily tasks, rendering them unable to function effectively in their normal routines. It’s not something that can always be overcome with positive thinking, and it affects so many different facets of life, including namely, relationships—don’t let yours with your friend become a victim to this disease. Your friend might be very resistant to reach out to you, let alone reach out to a therapist or other licensed professional. However, depression is a scary condition, and it’s worth talking to your friend about accessing care should the situation require it. It can be hard to know whether they need care or not. There are certain signs to look for: if he or she mentions suicidal thoughts, if they aren’t able to eat, or if sleep has become impossible, they need to seek help and work out some sort of treatment. While mental illness is more talked about in recent years than it has ever been, there’s still plenty of misconceptions about depression and anxiety. To fully be there for your friend, you need to take your time to understand the condition. Do your research; go online, check out books, look at recent studies. The more you know, the more helpful you can be. Your friend likely won’t reach out for you, but that doesn’t mean they don’t need your support. Stay in touch as much as possible. It may be frustrating when they aren’t returning your texts or answering your calls, but it’s essential that you continue reaching out. Their retraction from life is no reflection of their feelings towards you or your friendship; depression makes even basic functions feel impossible. Part of being there might mean taking initiative to do the things he or she can’t handle anymore. This might mean picking up groceries, doing their laundry, or even dropping off prepared meals to make sure they’re eating. If you live far away, you can help do many of these things through services. You can send a cleaning brigade to their home with Merry Maids, have groceries or recipe boxes like Hello Fresh dropped off at their door, and ask close-by friends to check in on them every now and again. You should strive to become a listener more than a talker when it comes to your interactions with your friend. Listen to their concerns, prompt them with open ended questions that will get a conversation going, and be wary of offering advice. Don’t feel compelled to say something; depression doesn’t always make sense, and there isn’t always an answer. You can, however, always provide words of support and hope, without diminishing the pain your friend is currently experiencing. Everyone deals with and overcomes depression in a different way, so what works for someone else you knew might not work for this particular friend. By no means will gifts help them “get over” their illness, but providing little bits of happiness will put bright spots into a week that might have been otherwise difficult. Grab a special gift to let them know you’re thinking of them, or drop off a bouquet of flowers just because. This is another way to show you care without overwhelming your friend, and lets them know you’ll be patient while they work through their illness. Watching a friend suffer from depression is tough, but you can make the difference by being a pillar of support while they work to get better. Use these guidelines to be there for your friend and give them hope of a brighter future. Motherhood is one of the most cherished societal roles that requires much physical and emotional sacrifice, unexpected challenges, and periods of great joy and sadness. In recognition of the amazing job that so many mothers do, flowers, chocolates, dinner, breakfast in bed, and new clothes are some of the many traditional gifts mothers receive on Mother’s Day. However, what many people forget when shopping for mom is that many mothers enjoy having some down time to read a good book. Along those lines, here is MedFriendly’s list of the Top 10 books on motherhood (based on reader review ratings) that mothers with different lifestyles should enjoy reading on Mother’s Day. At the end of each description, we highlight the type of mother who would best like each particular book. 1. Motherhood Realized: An Inspiring Anthology for the Hardest Job You'll Ever Love by Power of Moms. Power of Moms. This is a tangible representation of a living, breathing community of mothers (Power of Moms). The book is a collection of the best articles the Power of Moms has shared online. Each chapter is one article, so they are very easy and quick to read (10 min or less). The chapters are grouped into meaningful sections and do not need to be read from beginning to end. Ideal for mothers with a fast-paced life. 2. Anchored: Finding Hope in the Unexpected by Kayla Aimee. Both poignant and humorous, Anchored recounts Kayla’s gripping story of learning to navigate her newfound motherhood (premature delivery) in the most unexpected of ways, from holidays in the hospital and middle-of-the-night phone calls to the joy of coming home. With vulnerability and plenty of wit, Kayla lays bare her struggle to redefine her faith, her marriage, and herself within the context of a tragedy she never saw coming. For anyone who has felt their faith in God falter, Anchored extends a gentle invitation to join her as she uncovers a hope that holds. Ideal for mothers who have given birth to children prematurely. 3. The Single Mom and Her Rollercoaster Emotions by Pam Kanaly. Christian guidance for single parenting. Single moms face ups and downs, and this personal testimony offers advice on how to navigate the emotional roller coaster. After highlighting and defining nine specific negative emotions that often overwhelm single parents, Pam Kanaly explains how to transform these common characteristics into corresponding positive traits. Founded on love and biblical teaching, these words of wisdom and compassion will offer hope and consolation to struggling moms. Ideal for single Christian mothers. 4. Tales from Another Mother Runner: Triumphs, Trials, Tips, and Tricks from the Road by Dimity McDowell and Sarah Bowen Shea. Every mother runner has a tale to tell. A story about how she realized, fifteen years after being told that she's best being a bookworm, that there is an athlete inside her. Or the one about how she, fifty pounds overweight and depressed, finally found the courage---and time---to lace up her running shoes. Ideal for the running mother or the mother who needs motivation to get more active. 5. A Mother's Dance: One Step Back, Two Steps Forward, Full Circle by Pattie Welek Hall. A touching story about hope, resilience, fortitude, faith, and about the value of family and friends. Pattie relays her story of a mother trying to balance life goals with the need to care for a child in a coma from a traumatic brain injury. She is later tested again when her oldest son dies. Ideal for the mother who has lost a child and/or has cared for children with serious medical issues. 6. Tilt: 7 Solutions To Be A Guilt-Free Working Mom by Marci Fair. Juggling work and family has never seemed more possible than in Marci Fair's parenting guide, TILT. It was written out of the difficult struggles and unexpected answers that Fair has found on her journey through the TILT of life, work, and motherhood. Ideal for the working mother. 7. Reclaiming Home: The Family's Guide for Life, Love and Legacy by Krista Gilbert. This is the go-to guidebook, helping families cultivate solid roots of meaning, connectedness, and family identity in the ever-shifting soil of modern family life. Ideal for the mother looking to simplify her chaotic family life. 8. The Mindful Mom-To-Be: A Modern Doula's Guide to Building a Healthy Foundation from Pregnancy Through Birth by Lori Bregman. Strengthening your own foundation is one of the very best beginnings you can give your child. In The Mindful Mom-to-Be, doula and pregnancy coach Lori Bregman guides you in your journey toward motherhood by empowering you to find what works best for you and your baby. In addition to concrete, prescriptive health information, including nutritional advice, natural remedies, developmental milestones, and techniques for labor, she offers simple and enjoyable spiritual and emotional exercises to help you prepare for motherhood. Ideal for the pregnant mother. 9. Dial Down the Drama: Reducing Conflict and Reconnecting with Your Teenage Daughter--A Guide for Mothers Everywhere by Colleen O’Grady. Written by a popular family therapist, "Dial Down the Drama "reveals how to reclaim your center and reconnect with your teen. It helps you: Regain perspective - Break the cycle of conflict - Tune in to your daughter without drowning in her drama - Foster spontaneous conversations - Understand the developing adolescent brain and how it influences behavior - Appreciate her for who she is now--a wonderful, work in progress - Replace worrying and overreacting with effective communication and action - Forge a healthy and lasting bond together Moodiness, anger, and defiance can stress the best of us. This empowering guide gives you the tools you need to defuse the drama--and dial up the joy. Ideal for mothers of teenage daughters. 10. Changed By Chance: My Journey of Triumph Over Tragedy by Elizabeth Barker. Elizabeth Barker spent years planning and working hard to achieve her version of the American dream - one that is supposed to culminate in parenthood and the role of supermom. But when her first child is born with Down syndrome and a fatal heart condition, her dream suddenly becomes a nightmare. Liz’s new reality is a detoured obstacle course of life altering encounters, medical mishaps, a breast cancer diagnosis, and cruel hardships. From the moment of her daughter’s birth, she is pummeled with life lessons that no schooling or formal education could have ever taught her. Ideal for mothers of children with special needs. Malaria is a tropical disease that poses a risk for residents of and travelers to parts of Africa, Asia, Central America and South America. There is no vaccine and the symptoms are severe, but with preventative medicine, transmission is unlikely. Below are some facts about malaria. It’s a blood-borne disease spread by the bite of an infected female mosquito. Malaria can cause serious complications and is potentially fatal. 2. Where Does It Come From? A particular mosquito called the Anopheles mosquito can harbor a parasite called Plasmodium. This is the most deadly parasite out of the five that cause malaria. When an Anopheles mosquito bites and infects a person with parasites it causes malaria. 3. How Does It Make A Person Ill? When the parasite enters the human blood stream via an infected mosquito it travels to the liver where it infects red blood cells. This leads to red blood cells bursting. If an uninfected Anopheles mosquito bites a person with malaria, it picks up the parasite in its salivary glands and so the life-cycle continues. There are over 400 species of Anopheles mosquito and 30 of these are of malarial importance. They bite at dawn and dusk, but the veracity of the infection is dependent on the human, the environment and the parasite itself. Anopheles mosquitoes lay their eggs in water, even managing to breed in the rain-filled hoof print of horses, which means there are a great deal of breeding habitats available to them. 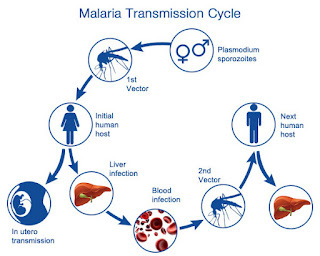 Although the Anopheles mosquito is the main risk of malaria transmission a person can also become infected through a blood transfusion or organ transplant. Sharing infected needles is another route as is mother to baby during birth - known as congenital malaria. Malaria symptoms can be mild to begin with and can be mistaken for other illnesses. This is dangerous as malaria such as the P. Faciparum strain can lead to serious complications if not treated within 24 hours. Some people develop partial immunity to malaria in areas that are particularly prone to the parasite. Symptoms of the disease can vary for person to person. Because the parasite needs time to develop a person won’t feel ill with malaria symptoms right away. Usually symptoms appear a week after infection but it can take up to 18 days and sometime up to a year. It depends on the parasite’s life cycle. Parasites need time to grow and complete their life cycle, so severe malaria is more frequent in areas where the mosquito lives longer. Some mosquitoes also prefer to bite humans. 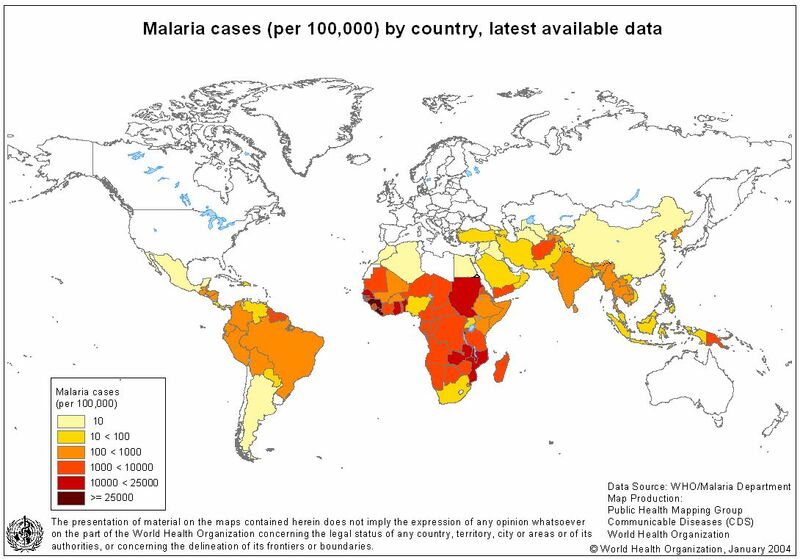 This converges in Africa where 90% of malaria cases occur. Malaria is one of the main reasons for poverty in Sub-Saharan Africa. Conditions for optimum mosquito breeding are when there’s heat and dampness. When humidity is high epidemics can occur. Rainy seasons or when a large group of people with no immunity move to an infected area, such as refugees, there may be an upsurge in cases. There is some concern that global warming may mean currently uninfected areas start to see tropical diseases such as malaria. Researchers in the UK for example believe a two-degree rise in temperature could lead to pathogens such as malaria, becoming a risk in the UK. 8. Who Is At Risk? Sub-Saharan Africa had 88% of malaria cases and 90% of malarial deaths in 2015. It kills approximately 438,000 people every year. In 2015, 300,000 children in Africa died of malaria under the age of 5. Asia, Latin America and some parts of the Middle East have high malaria risks but 97 countries have malaria transmission. It’s thought 3.2 billion people are at risk of contracting malaria. Everyone exposed to the virus is at risk, but some are in especial danger. Pregnant women and their unborn children are at risk of dying from complications or experiencing spontaneous miscarriage. The immune-compromised, such as HIV or chemotherapy patients, infants and children under 5, the elderly, and those with no immunity, such as travelers, are particularly at risk. All travelers to North Africa, Sub-Saharan Africa, the Middle East, the Caribbean, Central and South America, Papua New Guinea, Vanuatu and the Solomon Islands should be aware of the dangers of malaria. There’s no vaccine for malaria although research is underway and shows promise. • Researching malaria areas before travel. • Take anti-malaria tablets and finish the course. They are 90% effective. Brand names include mefloquine, doxycycline, atovaquone and proguanil. Some of these medications need to be taken in advance of traveling. • People feeling unwell after travel to a malarial area should seek medical advice immediately and up to a year afterwards. A blood test will confirm malaria and treatment must begin immediately afterwards. Treatment usually consists of taking anti-malarial tablets. Those already taking medicine will not be treated with the same type, so keeping a note of medication is essential during and after travel. A treatment will be selected depending on the type of malaria, where it was transmitted, severity of the symptoms, what medicines have already been taken, age, and in women - whether or not she is pregnant because some anti-malarial treatments are not suitable for pregnant women. In severe cases malaria may be treated intravenously in hospital. Many people who are not affected by malaria underestimate its effects. Those traveling to infected countries must ensure they have taken the appropriate anti-malarial treatment. Those not able to take medication should seriously reconsider their plans. Despite efforts to eradicate malaria, The World Health Organization says that anti-malarial drug resistance and insecticidal resistance are growing concerns. Malaria is still a threat to human life and must be taken seriously. We know that the world is getting fatter. Take one look around you, and you will be bombarded with diets, exercise equipment and more. We know that we should lose weight, and we know that obesity is bad. Yet, we don’t really seem to do anything about it. And, unfortunately, it is starting affect our children. When you consider there is a staggering rise in the number of people looking for bariatric procedures for children, it becomes clear that something must be done. We are sedentary, yet stuff our faces full of high calorie, high sugar, high fat, high cholesterol, processed food that contains almost no nutrition. What it Mean to Be Obese? 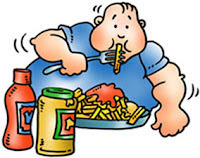 Around the world, the most important contributor to poor health is now obesity, overtaking even infectious diseases. Some 300,000 people in this country alone die each year as a direct result of an obesity-related illness, including cancer, heart disease, type 2 diabetes, sleep apneas and more. It is even believed that, unless something is done soon, more people will die of obesity than what they will of smoking. The most frightening thing, however, is the impact this has on our children. The chance of the child of an obese parent becoming obese themselves is frightening. In fact, most children of obese parents reach a dangerous level of weight by the time they are just four years old. It is now increasingly normal for children to be obese. Over the past 10 years, there has been an increase of 30% in obese children in our country. It is obvious why this is happening: children copy the lifestyle of their parents. At the same time, our consumerist society plays an important role as well. There has been a 300% increase in fast food outlets between 1977 and 1996, for instance. The various industries involved in treating obesity are worth billions of dollars as well. So we are fighting a losing battle: our own poor lifestyle choices, and the constant drive from commercial institutions to continue to make poor lifestyle choices. Obese children have to deal with many difficulties. The first is that the health dangers for them are as high as what they are for adults. Not just that, however, but fat cells developed in childhood are even more difficult to get rid of. Then, there is the significant psychological impact as well. While more and more children are obese, they still experience greater levels of bullying. Something needs to be done.